100% Pure Collagen, it's Melty Cotton. 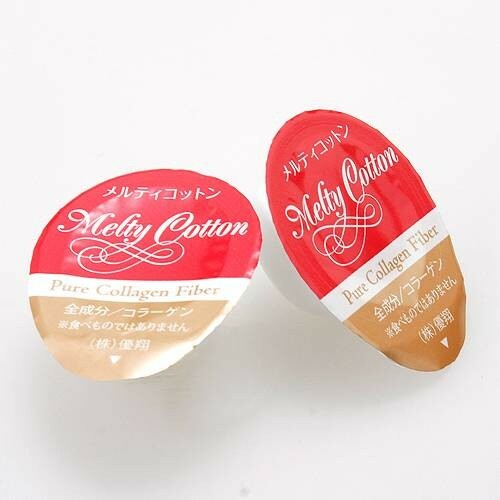 "Pure Collagen Fiber" in the form of collagen ball, provides the ultimate moisture covering the wide "terrain" of the skin minutely and thoroughly. 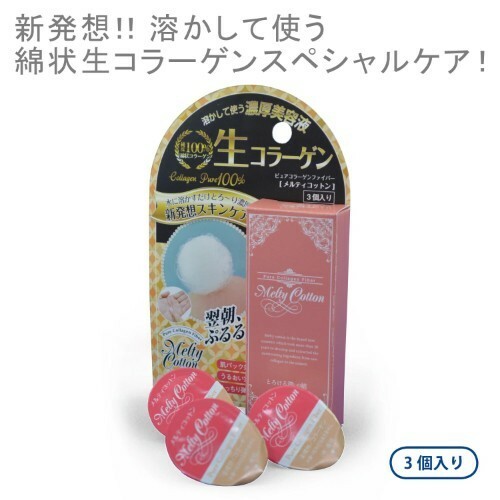 By putting water onto the cotton ball made from 100% collagen, "Cotton Ball", turning into the the purest form of collagen lotion, takes care of the thirsty skin for its elasticity and smoothness. 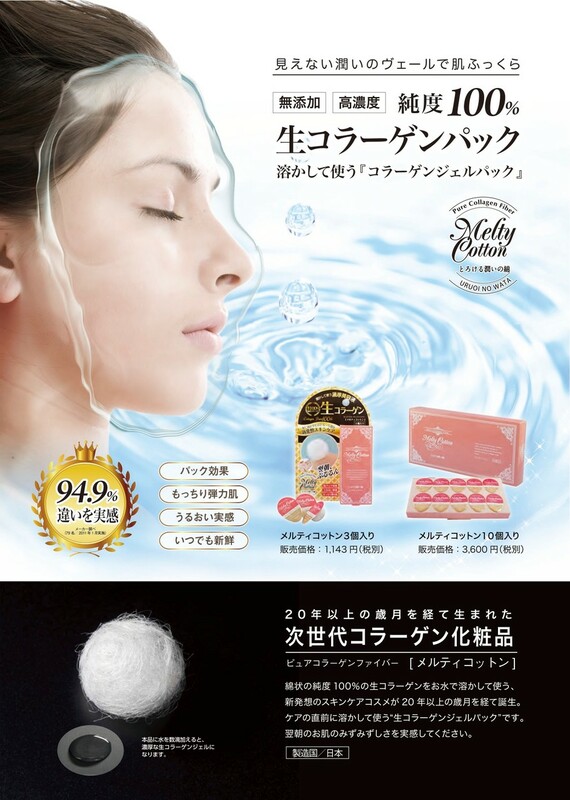 While "Pure Collagen" tends to be broken by heat for its purest form, and considered as not-suitable for cosmetics although fresh collagen is what is essential for the insatiable skin, "Pure Collagen Fiber" has made it possible for the sustention of its form and effects for the beauty thirsty body and mind.